Tired from your dated bathroom? Wish you could give it a facelift? Simple bathroom accessories that have simple lines and basic colours can be an easy solution to enhance the look of your bathroom. 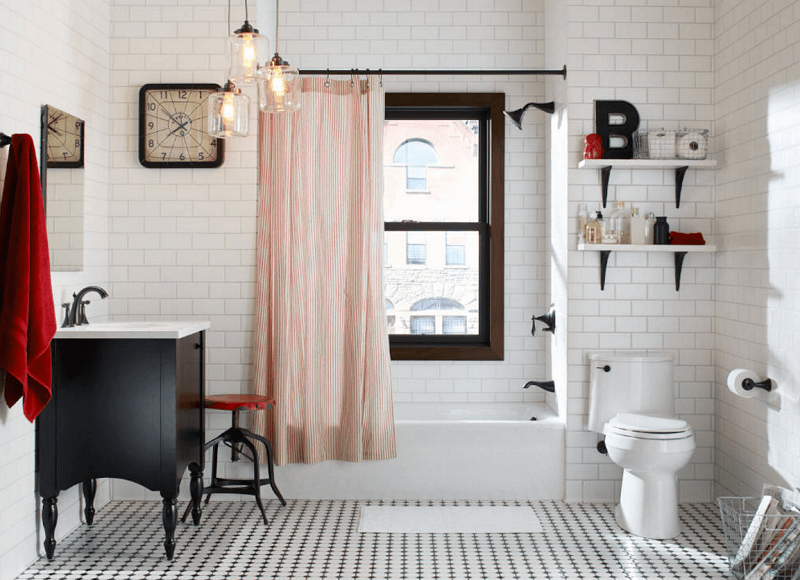 The bathroom of today isn’t just meant to be utilitarian as in the past, but rather the room that evokes style just as much as the rest of your home. If you want to inject yours with some luxury, buy bathroom accessories. And if you don’t know where to start, here’s our list with all of those we consider to have that much needed changing power. The idea of a towel ladder is as luxurious as it is practical. If you have the space in your bathroom, place a towel ladder against the wall and hang your hand towels on the top rungs and your bath towels on the bottom ones. These towels will leave you feeling like you have stepped out of a spa tub after a bath. Linen waffle towels are so soft and fluffy that they can surely become an inseparable part of your morning shower or evening bath rituals. A jewelry stand is a simple yet elegant way to hang and display your favorite watches, bracelets and necklaces. Jewelry stands made from high quality steel, are a chic element that will sure add an elegant touch to your bathroom. I recommend a wire basket large enough to sit on and fill it with extra rolls of toilet paper. These cannot be found just in any supermarket and even though such bottle may cost a bit more, in the long run, it’s well worth considering how much it can add to the classy appearance of the bathroom. Cotton balls and hair elastics deserve a nice spot to hang out too. Simple, white canisters would look at home in the bathroom. Glass jars are also lovely accessories to keep everything neat and tidy while still in view. Add some glam to your bathroom with a dramatic mirror. Unique mirrors have the power to add real character to a bathroom and can also make the room feel larger (https://www.thespruce.com/make-small-bathrooms-look-and-feel-larger-1976135) by reflecting the room’s natural light. And finally, no bathroom is complete without candles so make sure you don’t forget these in several calming scents and complementing colours when you buy bathroom accessories.